Plans for the summer, part 3: Packrafting – but where? There’s a competition going on as I have promised a free freeze-dried meal and dessert for the first one who guesses my main trip for this summer. What I am looking for is a verb describing what I’ll be doing and the place. It has become clear from the earlier posts (post 1 and post 2) that I’ll be packrafting. 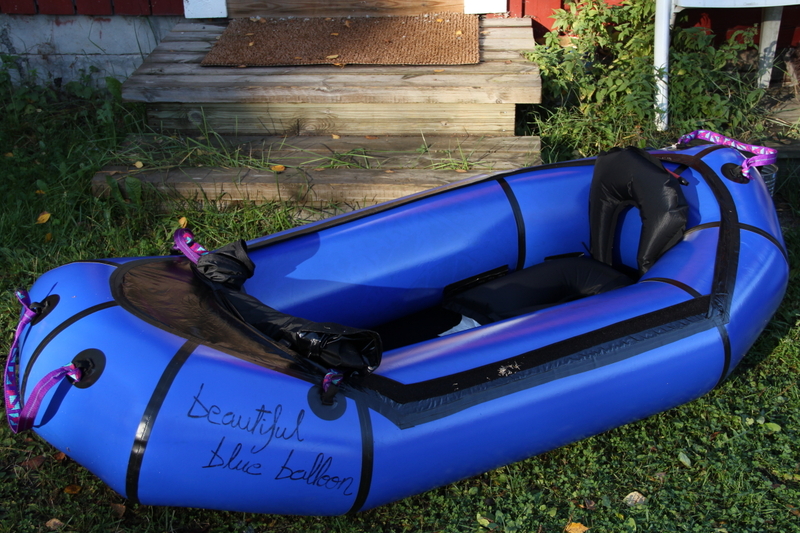 The raft is a brand new 2011 model Alpacka Denali Llama with spray deck. It should arrive in June and I just can’t wait to get my hands on it! Last autumn I had an older Denali Llama for a test on some lake paddling and class I & II white water. And it was totally awesome! But, no one has yet guessed what the route will be. The starting point was reviled in the second clue and I received a good guess about it. Me and my mate will get of the bus a bit North from the village of Kilpisjärvi on the Norwegian side of the border where river Didnujohka crosses the road. 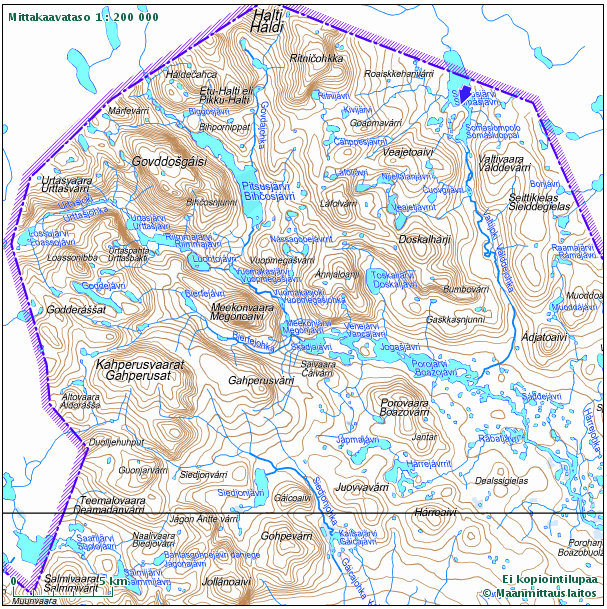 From there we will start hiking towards East, the Finnish border and later the Pitsusköngäs waterfall. But where will we continue from there? The final clue: a place where we'll meet friends along the way. After meeting with the friends – and hopefully getting some fresh arctic trout for a dinner – me and Tuomas will be hopefully able to enjoy an altitude difference of about 400 meters and float and fight (and swim?) through over 130 kilometers of the wildest wilderness rivers in Finland ending our trip to the road side. It’s time to get over with this competition so I can tell more about my plans. So, give your best shot and guess! good decision to buy one of these fantastic boats. Bought one of the old models some month ago. Tested it on some trips on rivers around me, but there is not really much water in it. I’m planing to go to Austria in two weeks with some other packrafter from Germany to learn paddling in white water. Can’t wait to see more of you’re planned trip. I also wanna come to Findland one day for paddling. Thanks for dropping by! The South-East Finland where I live also lacks good rivers and white water. (Well, we have Imatran Koski but that’s definately no place for packrafting!) But there is a bunch of great rivers in Eastern Finland and in Lapland, so if you are coming to Finland some day, don’t hesitate to ask!